(ii) Rule 10 (4) (i), in so far as it provides that non-judicial members of Lokpal, apart from having special knowledge and expertise of not less than twenty-five years in matters relating to anti-corruption policy, public administration, vigilance or law, must have held or must be holding the post of Secretary to the Government of India or any equivalent post thereto under the Central Government or a State Government, travels beyond the scope and ambit of the Lokpal Act, since Section 3 (3) (b) of the said Act, while selecting Non-judicial members of the Lokpal from persons having special knowledge and expertise of anti-corruption policy, public administration, vigilance or law, does not limit the field of selection to retired and serving Secretaries to the Government of India and holders of equivalent posts in the state governments, most of whom belong to the Indian Administrative Service. According to the averments in the Application, the Government is pushing ahead with the process of appointment of the Chairperson and Members of the Lokpal despite the fact that the Rules under which the Chairperson and Members of Lokpal were to be appointed, are under challenge in a writ petition and that the Supreme Court had already issued notice and fixed May 5 2014 as the next date of hearing. The Application states that it came to the Petitioner’s knowledge that on April 11 2014, the Prime Minister addressed a letter to all the members of the Selection Committee. On 31 March 2014, the writ petition came up for hearing for the first time before the Apex Court and during the hearing, according to the petitioner, a question was put by the Apex Court to the Solicitor General, who appeared for the Union of India, as to whether the Central Government took any step towards the selection of the Lokpal and its members. The Solicitor General replied in the open Court that the Government was not doing anything in so far as the selection of Lokpal and its members was concerned. In view of thedefinite statement by the Solicitor General, no interim order was passed by the Apex Court Court but it made an oral observation that if the Petitioner were to come across any such development, it would be at free to approach the top court for interim directions. Live Law reported, that on March 31 2014 a Supreme Court Bench of Justices R M Lodha and Kurian Joseph found merit in the submission made in a petition filed by NGO Common Cause, through advocate Prashant Bhushan who had questioned the entire selection process for appointment of Chairperson and members of the Lokpal and sought to declare “illegal” the rules under which selections were being done. The Apex Court Bench issued notice and directed the Centre to reply to the petition within four weeks. 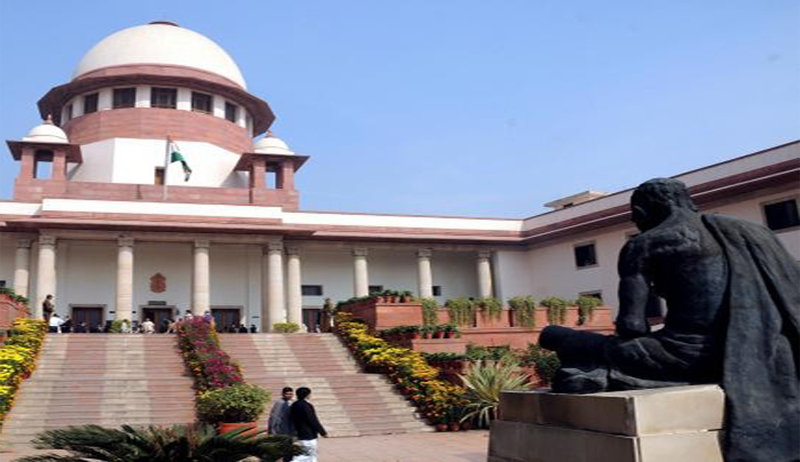 Live Law reported that on March 5 2014 the constitutionality of the Search Committee (Constitution, terms and conditions of appointment of members and the manner of selection of panel of names for appointment of chairperson and members of Lokpal) Rules, 2014 came under challenge in two separate Public Interest Litigations, one before the Supreme Court and the other, before the Madurai bench of the Madras High Court. The Petitioner also sought a declaration that certain provisions of the Rules were ultra vires of the Lokpal and Lokayuktas Act and also sought quashing of the entire selection process initiated under the rules alleging that it was illegal, arbitrary” and violative of Article 14 of the Constitution. It also said that Rule 10 (1) provided that the Search Committee shall prepare a panel of persons to be considered by the Selection Committee for appointment of chairperson and members of the Lokpal, from among the list of persons provided bythe central government directly runs counter to the very object of having an independent Lokpal and the provisions of the said Act. In the PIL filed before the Madurai Bench of the Madras High Court, the Petitioner, a Madurai- based Lawyer G R Swaminathan, had challenged the Search Committee (constitution, terms and conditions of appointment of members and the manner of selection of panel of names for appointment of chairperson and members of Lokpal) Rules, 2014 on the ground that it was contrary to the provisions of the Lokpal and Lokayuktas Act, 2014 and ultra vires Article 14 of the Constitution of India. The Petitioner had further sought a ban on the search committee to recommend the panel of names to the selection committee to select a Lokpal and its members. Live Law reported, that on February 25 2014, Sri. P. SubairKunju, a practicing lawyer in Thiruvananthapuramfiled a writ petition before the High Court of Kerala through his advocate, Sri. George Poonthottam, as W.P. (C) No. 4751 of 2014, challenging the constitutional validity of certain provisions of the Central Act 1 of 2014 (Lokpal and Lokayuktas Act, 2014) inter alia, on the ground that these provisions will ‘in effect result in unintentional participation of the judiciary in the executive function, which will have far reaching ramification and negative impact insofar as the independence of the judiciary is concerned’.The Petitioner maintained in his writ petition that the participation of the Chief Justice of India or his nominee in the selection committee constituted for the purpose of appointing Chairperson and members of the Lokpal when the provision enables the appointment of the Chief Justice of India and judges of the Supreme Court of India themselves, as Chairperson and members of the Lokpal,would vitiate the selection and appointment process apart from being against law as bias was writ large in such an appointment by the Committee thereby rendering Section 4(1)(d) of the Lokpal and Lokayuktas Act, 2014, unconstitutional.When the matter came up for admission before the High Court of Kerala, Justice P.N. Ravindran admitted the matter and further directed the Assistant Solicitor General of India, Sri. P. Parameswaran Nair, who took notice for the Respondent (Union of India), to file a counter affidavit, if any, within a period of month, and posted the matter to March27 2014. Though the Petitioner had, as an interim relief, sought for an order restraining the Search Committee from considering the curriculum vitae of any serving judge of the Supreme Court for the post of Chairperson or member of the Lokpal and submitting their names to the selection committee, pending disposal of the Writ Petition, the High Court did not pass any interim orders in the case. According to Live Law reports, due to the illegal and arbitrary provisions of the said Rules which was of the main grounds of the challenge to the selection process, one of the eminent jurists of the Country, Fali Nariman, had slammed the Lokpal selection process and refused to become a part of the 8-member Lokpal Search Committee. Justice K.T. Thomas, who was chosen as the head of the Search Committee, had followed suit, and written to the Prime Minister’s Office expressing his inability to take up the appointment as head of the Lokpal Search Committee. “I have decided to withdraw from the search committee after I studied the rules. The selection committee itself can find out the persons from the list of central government, what the search committee is expected to do and forward the list to the government,” Justice K.T. Thomas said in his letter to the PMO. It was on February 21 2014, that Fali Nariman reportedly shot of a letter to the Minister of State for Prime Minister’s Office (PMO), V. Narayanasamy, questioning the selection process of the Lokpal and its members. Therefore, considering that Justice K T Thomas and Fali Nariman, who were offered the post of the Chairman and member of the Search Committee respectively, who had already declined to accept the offers on these very grounds, the petition said if the selection process of the Lokpal was not stayed during the pendency of the present writ petition, it would render infructuous and public interest would suffer. No one has been appointed in their places yet.